It’s barely spring. Too soon to think about September? Not when we’re talking about the 2019 Dangerous Goods Symposium—slated for September 4–6 at the Sheraton Grand Chicago. The Symposium is the world’s premier event for hazmat professionals from all over the world—and anyone else who works hard every day to keep our supply chain safe. Prices go up April 1. You’ll save 20% when you sign up by March 31. You’ll mingle with the best minds in Dangerous Goods. You’ll take in presentations from the world’s top shippers, carriers, 3PLs and trainers. Better yet, you’ll get to pick their brains over beer at our Thursday night celebration. There are new rules for shipping lithium batteries. Again. PHMSA’s long-awaited Interim Final Rule (IFR) aligning with ICAO’s 2016 regulations for shipping lithium batteries by air went into effect March 6. Because lithium batteries are a never-ending, always-changing source of hazmat pro anxiety, we devote an entire morning of the Symposium to them. You’ll hear from the folks who make the rules. We always have sessions led by people from PHMSA, IATA, Transport Canada and other regulatory bodies. And you might be surprised to discover how much common ground you share. It might be the only nice week of Chicago weather all year. Between our brutal winters and our suffocating summers, we sometimes get a few perfectly pleasant days. These could be them! You’ll get a complete preview of the Global DG Confidence Outlook. Our annual survey of hundreds of hazmat pros—from six continents—is the definitive look at the attitudes, technologies and trends affecting Dangerous Goods compliance worldwide. And you’ll get to see it first. 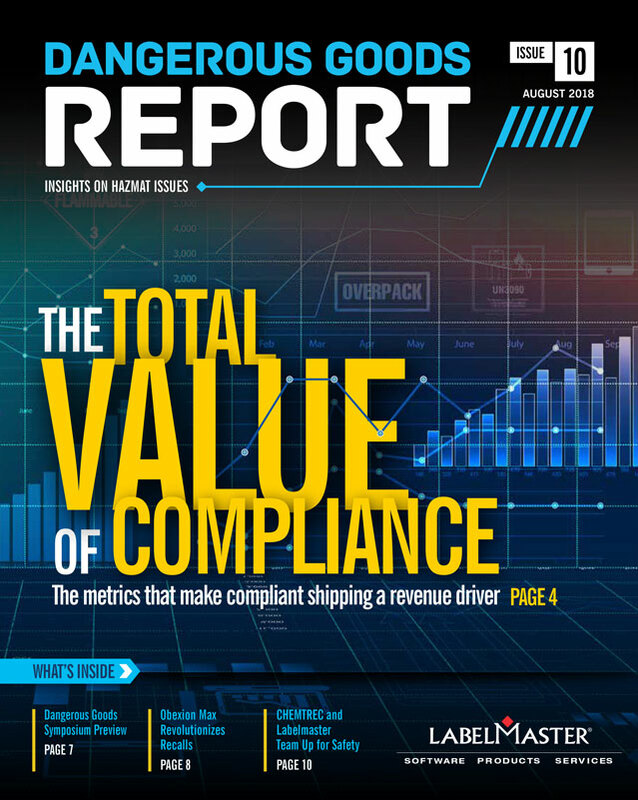 Compliance can be a competitive advantage. One of the key findings in last year’s DG Confidence Outlook was the growing number of companies that consider their hazmat compliance a competitive advantage. At the 2019 Symposium, you’ll learn a lot more about how to move your company in that direction. We’ll be in downtown Chicago, right on the river. 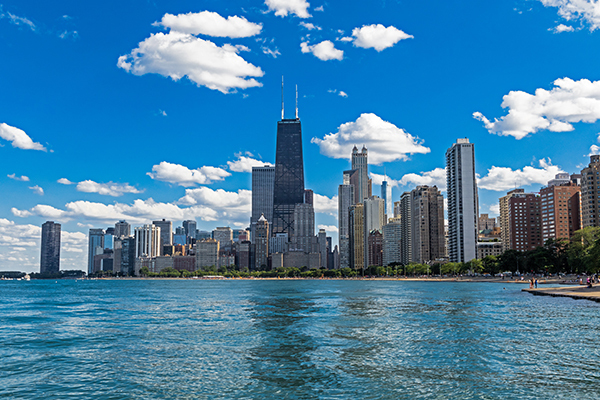 You can walk to Navy Pier or Millennium Park, or the world-famous Art Institute of Chicago. The Symposium takes training seriously. This is the one event where you can truly explore new ideas in hazmat training and expand your toolkit. In the past, we’ve had sessions on competency-based training, competency assessments and even training for millennials. Early bird rates end March 31. Yes, we mentioned that already, but it bears repeating. Get your reduced early bird rate now! Chicago was the Bon Appetit Restaurant City of the Year 2017. Eat your heart out, San Francisco. You’ll make friends over breakfast. Start the day with some fresh coffee and a top-notch buffet and sit down with people from another company, another industry, even another country. Say “good morning.” You got this. Chicago is the #2 city for live music in the U.S. Our jazz, blues, folk and rock combine to put us right ahead of Nashville and Memphis. The supply chain is going digital. Last year’s event featured memorable sessions about blockchain and IATA’s new paperless acceptance platform. Join us this year for more exclusive insights on the digital future of Dangerous Goods transport. You’ll have fun. We always have surprises in store for the Thursday night event—last year’s included an up-close magician and a portrait artist. But many of the sessions have been fun, too, from a hands-on closure instructions workshop to an almost true story about driving a chemical tanker from Texas to Argentina. The kickoff video is always a hoot. Need more evidence? Here’s last year’s, and the big hit from 2017. It’s the Dangerous Goods event you can’t miss. From the first looks at coming regulations and non-stop insights about regulatory trends to the unparalleled networking and downtime pleasantries, the Dangerous Goods Symposium is three days of hazmat goodness for the industry veteran and newcomer alike. Don’t miss this opportunity to save your spot!